How do you stand out in the ultra-competitive IPA market? Maybe you go the hazy route; maybe you go with something double or triple-hopped, or maybe you just make a damn good single-hop IPA. 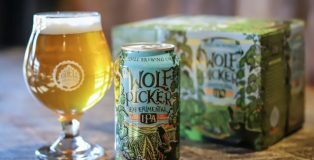 That’s the inspiration behind Odell Brewing Company’s Wolf Picker IPA series, which shines a light on a new hop in each iteration. The 2019 Wolf Picker features the new Oregon-grown Strata hop and is the first of the series to debut in cans. Sourcing unique hops that stand out amongst the competition is a tough job, but it’s one that Odell’s agronomist Scott Dorsch relishes. 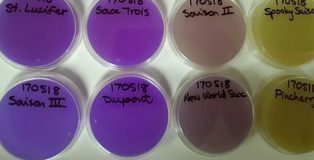 A typical agronomist role requires the person to be an expert in the science of soil management and crop production, but it takes on a bit of a new meaning when you work at a craft brewery. We asked Dorsch five questions about his career in agronomy, why he chose Strata for the latest Wolf Picker and what excites him about the hop marketplace in 2019. The modern world of craft beer tends to glamorize the brewmaster as a lone wolf creative genius. One person working away in an underground lair fermenting magic. 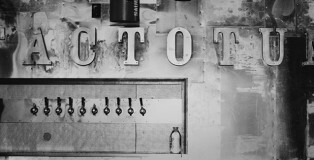 Of course, a brewmaster relies on a large team of professionals in every step of the process. The very first step is gathering quality ingredients. Yeast is beer’s most mysterious ingredient. A reproducing single-celled organism that consumes sugars to create alcohol and carbon dioxide. Without these invisible creatures, there would be no beer. 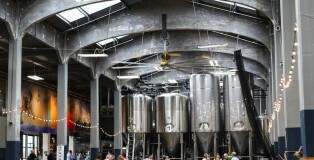 Chicago beer drinkers are spoiled with the multitude of taproom options available to them throughout the city. With more breweries than any other city, it only makes sense that there are numerous spots where patrons can leisurely stroll from one brewery to the next in just a few minutes. Up north in Ravenswood, there is the Malt Row which boasts the likes of Half Acre, Spiteful, Begyle and Dovetail Brewing. To the west is the Chicago Brewing District, which includes award-winners like On Tour, Great Central Brewing Co. and more. 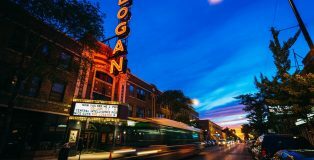 Smack dab in the middle (okay, somewhat close to the middle) of these two vibrant brewing neighborhoods is Logan Square, which has quickly become one of the hottest brewing locations in the nation, with a growing list of breweries calling the unique neighborhood home. Are you in the midst of planning your big day? Did you recently get engaged and are just starting the wedding planning process? 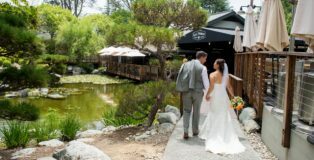 Or are you just curious to see what awesome venues are out there to host special events, such as a wedding and/or reception? Well, look no further. Regardless of what brought you to this list, here’s a few breathtaking venues that may be the perfect fit for your dream wedding. In honor of National Pizza Day on February 9, I am overjoyed to be writing about two of my favorite things: craft beer and pizza. Seriously–is there anything better than taking a bite of a hot, tantalizing slice of your favorite pizza and chasing it with a sip of a cold IPA or a refreshing pale ale? Just thinking about it makes my stomach rumble and my mouth begin to water. 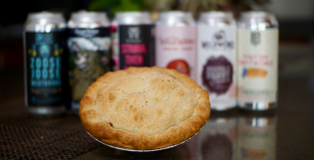 In our explorations of Michigan’s craft brewery scene, my husband and I have tasted a lot of amazing food paired with some exceptional beer. However, nothing seems to top the beer and pizza combination for us, and we find ourselves returning to some of our favorite Michigan breweries again and again simply to indulge ourselves in this dynamic duo. 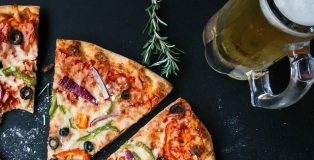 If you don’t have a location to celebrate National Pizza Day already chosen, here are my recommendations for the best of Michigan’s craft beer and pizza scene to inspire you. Maybe we will see you there! In 2018, Colorado craft beer consumers had its demand for more met with more supply as the state saw 67 new brewery openings or additions. Astonishingly, this is the most since 2014 when 68 brewery openings occurred. In Colorado, which was once (and perhaps still) considered the craft beer capital of the world, there are some legendary flagship brews we haven’t had easy access to until very recently. Bell’s Two Hearted Ale, Founders’ All-Day IPA and Brooklyn Lager are just a few. 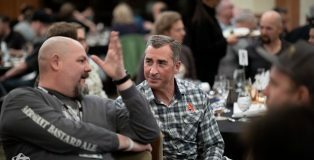 This all changed at the end of 2018 and Midwest and East Coast transplants living in Colorado celebrated the return of their long-lost favorite brews. 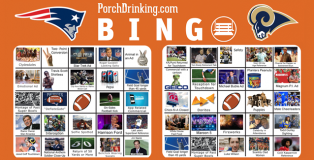 It’s time once again for PorchDrinking’s 2019 Super Bowl Bingo Cards for Super Bowl 53. In addition to the entertainment of seeing who can inhale the most combinations of cheese dips in one sitting, we’ve created bingo boards for your party-goers’ enjoyment. Each square should be crossed off as they occur. And sure, since this is PorchDrinking, take a drink each time you cross off a square. Starting off the year by attending a beer festival is the best way for any beer enthusiast to set themselves up for success. The idea of unlimited beer sampling from a stellar brewery, along with over 50 local and regional breweries is heavenly. 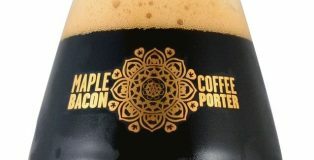 Add that with a solid time with friends enjoying food and music and you have the Maple Bacon Coffee Porter Festival at Funky Buddha Brewery. Colorado’s New Belgium Brewing Company has been around for a long time (more than 25 years) and its beer portfolio has changed and adapted as the craft beer market grew up. While their excellent sour beer program and iconic Fat Tire Amber Ale remain staples of their lineup, New Belgium has made some interesting shifts in their IPA portfolio over the past few years to appeal to a younger, more adventurous and IPA-crazed beer drinking demographic. 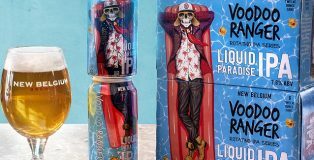 New Belgium retired their Ranger IPA in 2017 but the ethos of that brand now lives on in their popular Voodoo Ranger IPA lineup. If you’re looking back at 2018 as if you were Biggie in 1994 and saying to yourself, “it was all a dream” (or nightmare), wake up! NEIPAs, Milkshake IPAs, Milk Stouts, and Massively Fruited Sours/ IPAs aren’t going anywhere. 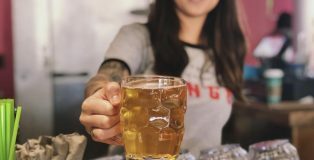 In 2018 we witnessed not only The Brewer’s Association recognizing the Juicy or Hazy IPA as an official style, but we saw exploding fruit bombs, more breweries expanding their taprooms (Reformation Brewery, Lickinghole Brewery) and more diverse beer festivals, like the Fresh Fest in Pittsburgh, Beers With(out) Beards in NYC, and the Dames and Dregs Beer Festival in Atlanta just to name a few. 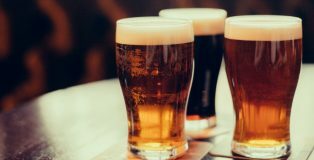 However as you probably deciphered from the title, this article isn’t about what happened last year, but it’s predicting the craft beer trends for 2019. 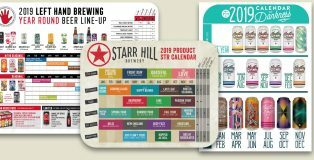 For the past five years, we have composed a national roundup of brand and beer release calendars from our nation’s breweries. To gain a sense of the astounding diversity of beer produced by the more than 7,000 breweries operating today, and to help get you excited about what is to come in 2019, we present to you the 2019 Beer Release Calendar roundup. We will continually update this page as soon as we receive information (many breweries are still in the final stages of finalizing their calendars). If your brewery isn’t listed and you’d like to share your release calendar, please reach out to us via [email protected] and we’d love to add you to the list! Special thanks to our friends at OnTap Credit Union, who have been crafting banking solutions for breweries, brewery employees and beer lovers for the past 64 years in Golden and Arvada. 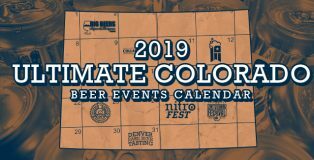 Their support in underwriting PorchDrinking allows us to continue to research and present in-depth pieces like the the 2019 Beer Release Calendar Roundup. Do you plan your travel around beer? I do. In fact, I visited 100 breweries last year, and I plan on doing that every year. In the past, when possible, I’ve always tried to include at least a few local brewery stops while on vacation. Four years ago I made a list of all the breweries I visited that year. Without knowing or even planning, I visited 99 different spots. The following years, I started to track more diligently, with the arbitrary goal of hitting 100 each year–that’s a lot of local beer. To be a little more precise, that’s 8.33 different spots each month, which may sound very do-able until you have a few hectic months and you hit zero new breweries. 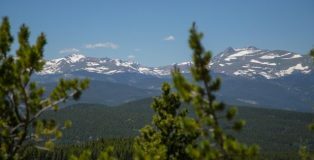 The state of Colorado currently holds the distinction as the state with 3rd most breweries in the country as well as the 5th most breweries per capita. 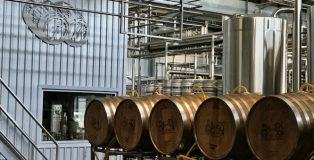 Statistics aside, the Centennial State has quickly grown to become one of the best states for craft beer propelled by friendly legislation, a great foundation for industry growth established by legacy brands, and a population that’s literally thirsty for new brands and innovative approaches to a centuries-old craft. It’s one of the draws of the annual Big Beers, Belgians and Barleywines Festival: Bold-faced names in craft brewing routinely make the trip, pouring their beer and chatting up fans. It’s the dead of winter and I’m not drinking a burly, barrel-aged stout – or even an IPA. Instead, I’ve cracked open a can of Creature Comforts’ Tritonia Gose. Was I envisioning a beach on some far off island? Or a sweltering summer sun? Nope, I just wanted something light and flavorful that wasn’t a lager and wouldn’t weigh me down like some of the heavier stouts and barleywines I’ve had on winter night’s past; and I’m not alone in this sentiment. 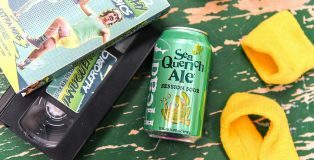 Much like the rise of spiked seltzer, the lighter styles of beer, namely session sours such as gose ale, are experiencing a bit of a renaissance this days as folks are beginning to choose tart and tangy beers for their ability to bridge the gap between calorie-conscious and flavor-packed. IPAs aren’t going away – to the contrary even. However, many breweries have begun to appreciate the gose’s spot in giving their beer lineup a bit of balance along with a burst of new flavors. For more insight into the growing popularity of the style over the past few years, I asked several breweries making some of the best gose-style ales in the nation to get their thoughts. If you’ve drank enough beer, you’ve probably found yourself in this situation. It’s an unfortunate experience that leads to apprehensiveness among patrons and bar owners: how do you handle the conversation when there is something clearly off with your beer? With January being the biggest month for gift returns, I thought it might make sense to take a look at how and why patrons should return a beer to their bartender or bottle shop manager. It’s not a cheery subject, but common sense from both sides can lead to a positive outcome that betters the drinking experience of the patron and the drinking relationship between the patron and beer purveyor. To help provide a full perspective on the issue, I asked craft beer bar owners and craft brewers alike to gather their insight. Here is what they said. Just like that, another year has come to close. And with this new year comes an excuse to reflect on the last twelve months. It’s a time to celebrate what we’ve learned, experienced and (at least in our case) drank, and a reason to set goals and resolutions for how we want the next year to be even better than the last. Please like and follow us! Can't visit the site everyday like us? Bummer! No worries, we've got you covered. Submit your email below to receive our monthlyish newsletter on reviews, tours, events and more!